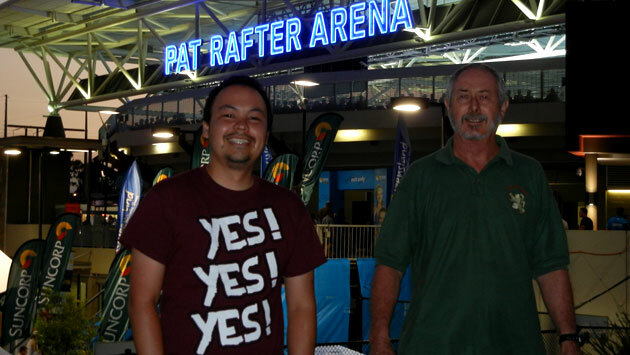 When it comes to tennis, I’ve been a pretty longtime casual fan of the sport. I’ve never really followed it as closely as I do with my local football or rugby teams but if there’s a major open on the telly, I’ll usually tune in and check it out. At the start of the New Year, I had a chance to watch the event live for the first time. 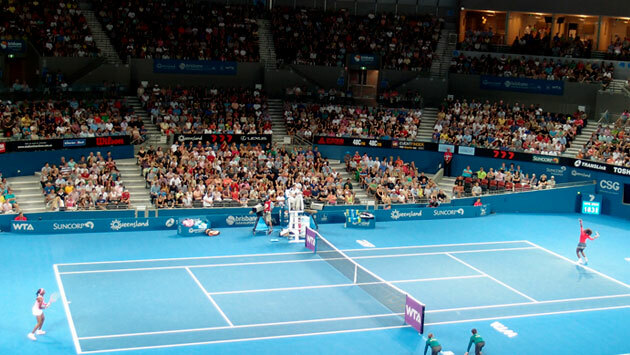 The Brisbane Open is an event that is slowly growing in prominence on the tennis calendar as more and more big name players opt to use this as a lead-in to the Melbourne Open, the first major tournament of the year. In this most recent iteration, 8 out of the top 10 women seeds were playing and the mens draw included Lleyton Hewitt, Marcus Baghdatis and Andy Murray. It’s interesting watching a new sport live for the first time and learning everything from scratch: the ticket buying process, what food and drink is available, what rules the grounds have and so on. Turns out you don’t get to find out the draw for a given day until 7pm the previous night. We patiently waited until we got a favourable draw and we got it on the second night of the New Year – a double header featuring both Andy Murray and Serena Williams – two of the biggest names in the competition. 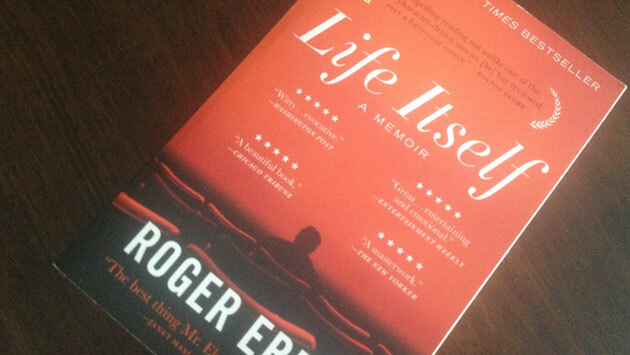 I really enjoyed the experience. 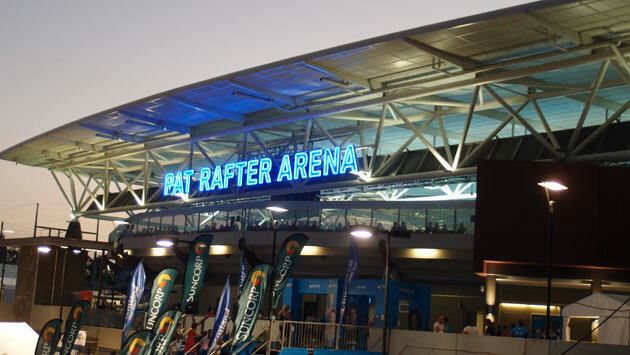 The Pat Rafter Arena is excellent. It’s so small and compact that there isn’t really a bad seat in the house. We had an excellent view of the court that was elevated sufficiently that you could appreciate the full range and depth of the shots that were played. Serena Williams, a veteran who has now dominated the sport for nearly fourteen years played against up-and-coming young American Sloane Stephens. Serena closed out the game 6-4, 6-3 in a tightly contested affair where Williams won each set by holding her serve and breaking Stephens’ just once. 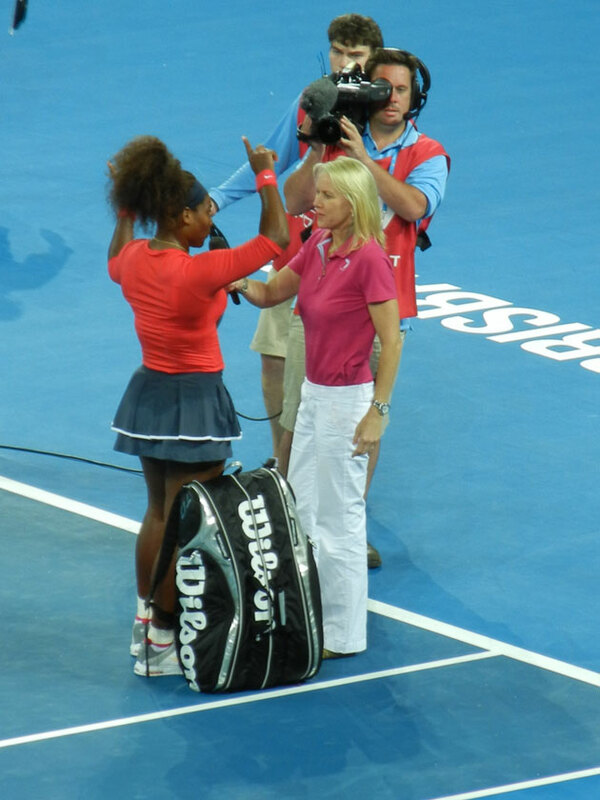 It was interesting to watch Serena on the court. I never much liked her on tv. Not since she made her debut on the tennis circuit by destroying Martina Hingis in the late Nineties who was a big favourite of mine. Watching Serena live has warmed me to her a lot. She has a unique build for a female athlete with thick, muscular tree-trunk legs and a heavyset top capped with a gigantic afro. And yet she is formidable combination of power and speed, firing off first serves at over 200kmh (rivaling the men) and still effortlessly makes her way around the court, with age having little to no effect on her cardio. Best of all, she seems to have a sense of humour about it all and delivered a funny post-game interview. I can’t imagine doing that. I’d be too knackered to try and think of anything witty. 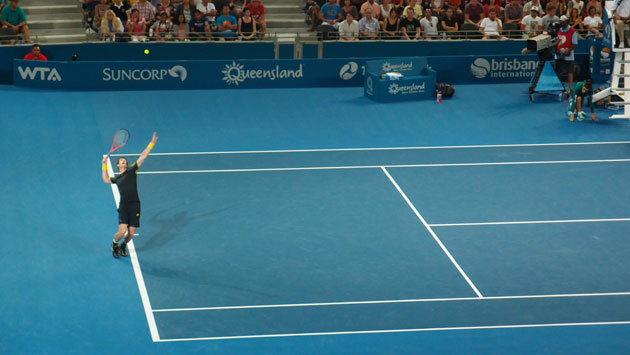 The main event of the evening was Andy Murray, currently ranked 3rd in the world, playing against local Brisbane boy Andy Millman, who is ranked 199. Murray is that rare breed of sports star – a Scottish world champion – so it was a real pleasure to watch the tennis with my mum and dad who were some of the most vocal supporters of Andy that night. I know in Malaysia, my parents have spent many sleepless nights keeping up with Andy over the years and although it almost always ends in disappointment, Murray is coming off a fantastic second half of 2012 where he won Olympic gold against Roger Federer and then went on to win his maiden US Open title. Murray won his game in a surprisingly contested 6-1, 5-7, 6-3 win. Murray made short work of Millman in the first set and put on a world class performance, landing inch-perfect lob shots with unnerving precision. If Millman’s gameplan was to play a serve and volley game, Murray killed that idea dead in the water when he landed about five perfect lob shots that kept dipping and landing just short of the baseline. Murray threatened to run Millman ragged and after a rally ended with Millman falling over his feet, it looked to be a short night for the Scot. It wasn’t to be. In the second set, Millman overcame his stage fright and rallied back strongly. 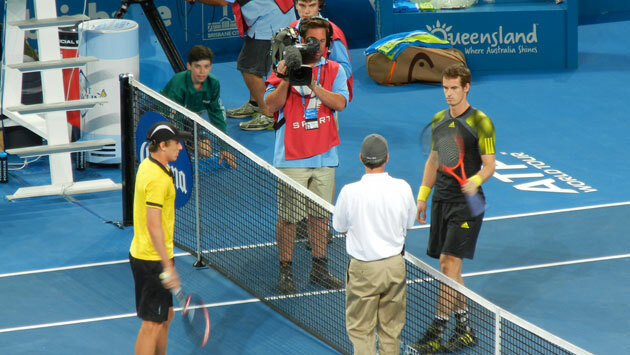 Whereas in the first set, he received sympathetic applause for winning a single game, he brought the stadium to their feet in the second when he broke Murray’s serve. He would go on to do it a second time and after a lengthy second set, he would go on to win it 7-5. In the final set, Murray hit a fifth gear, drastically cutting down his unforced errors and taking the game to Millman. It was an entertaining game to watch. I couldn’t help but root for Millman who was such a huge underdog but I was happy to see Murray win in the end. As a live spectacle, tennis is pretty a-okay by me. Its a sport where I have great admiration for what the players can do. 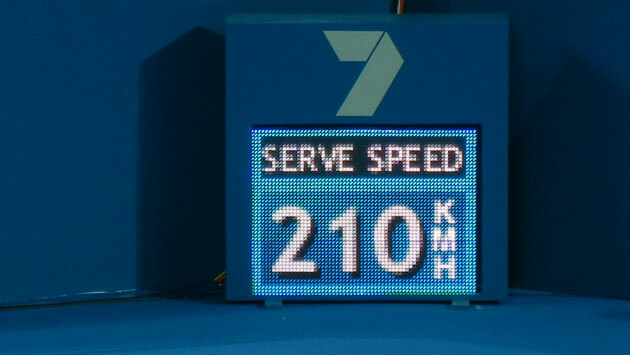 When I watch rugby or football, I occasionally think ‘I could’ve scored that’ or ‘I could’ve kicked that’ but with tennis, I don’t think I could return serve from an Andy Murray 210kmh first serve if my life depended on it.